At some point in life everyone deals with major upheavals or emotional distress. These events can trigger a host of unexpected feelings and behaviors from depression and panic attacks to major disruptions in sleep and eating. Acupuncture and Eastern medicine can alleviate symptoms associated with mental health issues in treating the root cause of the problem by helping to rebalance the body’s internal environment. Mental health disorders are medical conditions that disrupt a person’s thinking, feeling, mood, ability to relate to others, and daily functioning which result in a diminished capacity for coping with the ordinary demands of life. The good news about mental disorders is that recovery is often possible. Affecting persons of any age, race, religion, or income mental health disorders have been found to be common and experts estimate almost a third of the population report sufficient qualifying criteria at some point in their life. Serious mental illnesses include major depression, schizophrenia, bipolar disorder, obsessive compulsive disorder (OCD), panic disorder, post traumatic stress disorder (PTSD), and borderline personality disorder. From an Eastern medicine perspective mental health disorders can cause a disruption in the flow of vital energy, or qi, through the body. These energetic imbalances can throw off the immune system or cause symptoms of pain, sleep disturbances, abnormal digestion, headaches, and menstrual irregularities, and, over time, more serious illnesses can develop. Acupuncture treatments have be shown to correct these imbalances and directly affect the way your body manages your mental health. 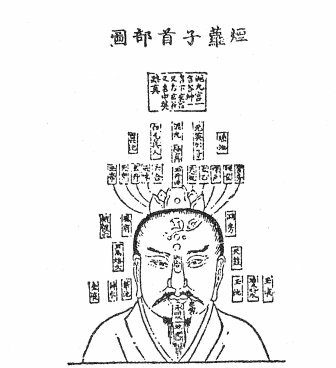 Eastern Medicine does not recognize any mental disorder as one particular syndrome. Instead, it aims to treat the specific symptoms that are unique to each individual using a variety of techniques including acupuncture, lifestyle/dietary recommendations and exercises to restore imbalances found in the body. Therefore, if 100 patients are treated with acupuncture and herbal medicine for anxiety, each of these 100 people will receive a unique, customized treatment with different acupuncture points, and different lifestyle and diet recommendations. However there are also common patterns of disturbed or blocked energy meridian related to the mental disorder. The liver, heart and spleen are those I treat on to open and regulate the qi with ear acupuncture. Ear acupuncture is very popular and effective to treat substance abuse, alcoholism, depression and anxiety. Depressive Disorders – Common symptoms of depressive disorders include: a decreased interest in most activities, insomnia, fatigue, and feeling empty and worthless. Even when depression is sub-clinical, the body’s immune system is compromised and the symptoms reduce functioning and impair work performance and social relationships. Acupuncture treatments can correct these imbalances, support the immune system, and directly affect the way your body manages stress and your mental health. Attention Deficit/Hyperactive Disorder (ADHD) – a condition of the brain that makes it difficult to concentrate or control impulsive behavior ADD/ADHD does not just occur during childhood. Acupuncture can help enhance concentration, reduce fidgeting, augment mood management techniques, reduce hyperactivity and enhance concentration. Anxiety and Stress Disorders – Anxiety comes in a wide range of manifestations, from mild worrying to more physical responses such as nausea, insomnia, shortness of breath and panic attacks. Some anxiety is a healthy response to the stress of daily life and new situations; however, anxiety that occurs randomly or excessively is a sign to take notice. Acupuncture and Chinese medicine can help balance both the mental and physical symptoms of anxiety and help to create harmony and spaciousness. In my clinics, I have seen many people with chronic mental disorder feeling better and stronger, and some could stop the medication or decrease the dosage significantly. If you or someone you know struggles with a mental health disorder or if you would like to know how to optimize your mental health, Acupuncture and East Asian medicine is worthwhile to try.